Gidak-on ning maong paunang tan-aw: 798 x 600 ka mga piksel. Uban pang mga resoluyon: 320 x 240 ka mga piksel | 639 x 480 ka mga piksel | 1,022 x 768 ka mga piksel | 1,280 x 962 ka mga piksel | 3,000 x 2,254 ka mga piksel. English: President of the United States Jimmy Carter in a boat in Plains, Georgia, chasing away a swamp rabbit (Sylvilagus aquaticus). This led to the "Jimmy Carter rabbit incident". Gigikanan http://www.narsil.org/politics/carter/killer_rabbit.html. Photograph courtesy of the Jimmy Carter Library. According to the webpage, "They (The Jimmy Carter Library) have advised me that the picture is in the public domain, but they would like any usage to note that the picture is courtesy of the Jimmy Carter Library." 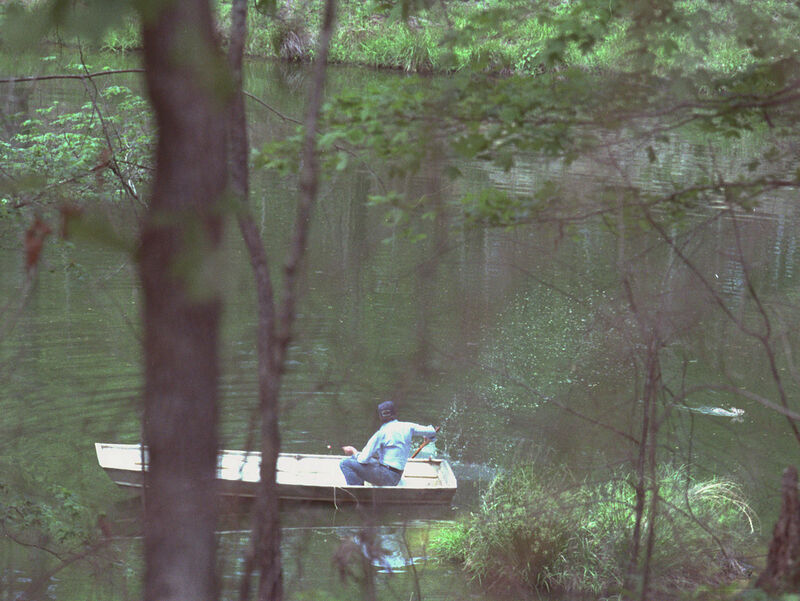 This file has an extracted image: File:Jimmy Carter in boat chasing away swimming rabbit, Plains, Georgia - 19790420 (cropped).jpg.